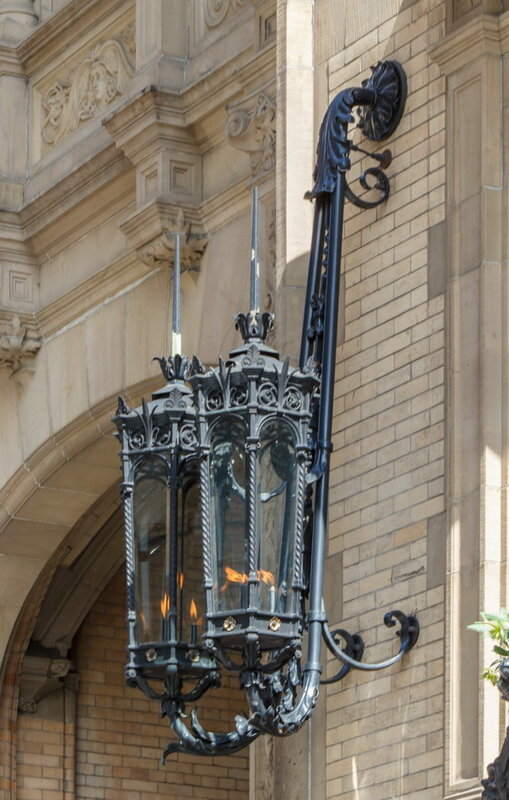 February 22, 2015 Manhattan1 W 72nd Street, 1884, apartments, Henry Janeway Hardenbergh, historic, landmark, luxury, Manhattan, New York City, renaissance revival, residential, upper west side. 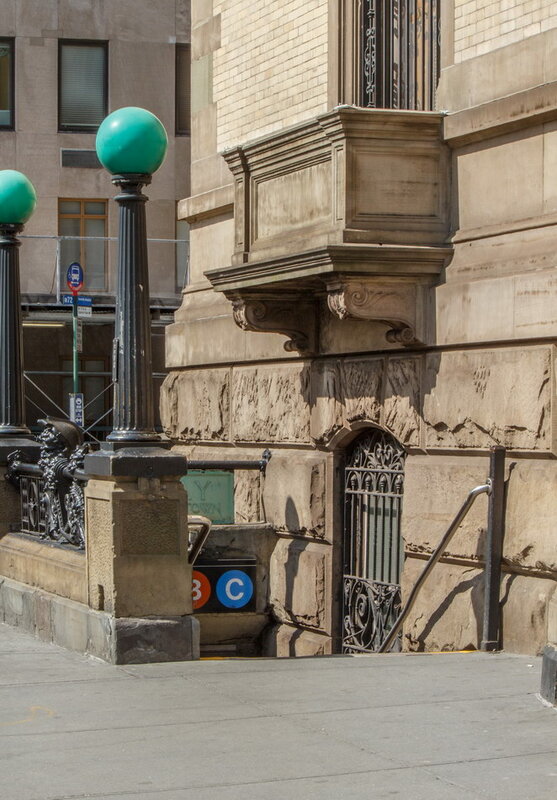 The grand structure overlooking Central Park has a 20-foot-high covered entryway into its central courtyard – designed to accommodate carriages and horses, which were stabled nearby. 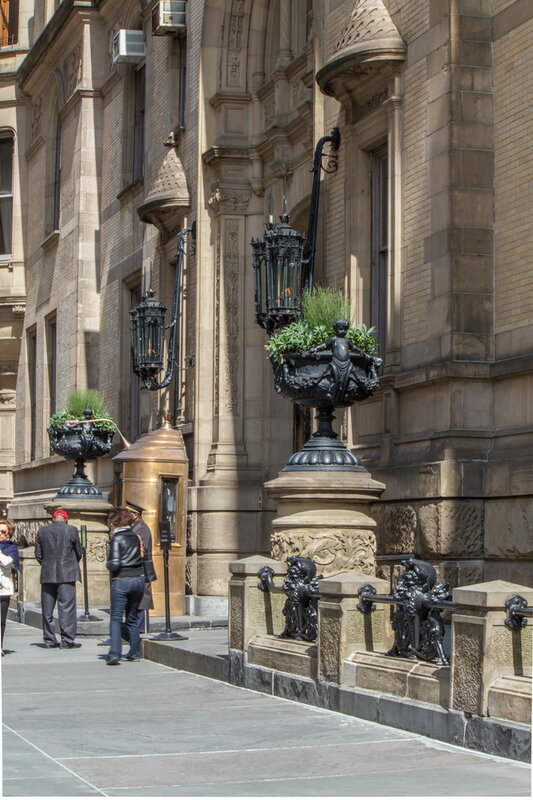 The apartments were served by four entrances, at the corners of the courtyard. The adjoining lot – now a white brick apartment building – used to contain The Dakota’s tennis courts and a power station. 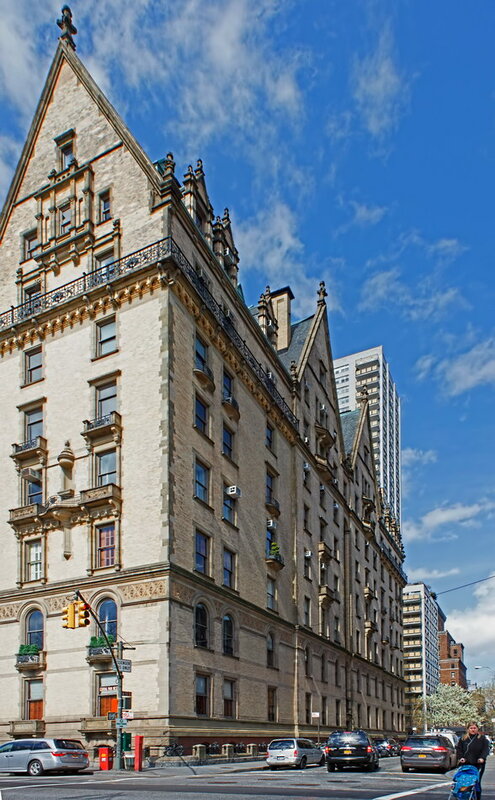 Though most recently known as the home of John Lennon and Yoko Ono – and the site where Lennon was murdered – the building has in fact been home to dozens of celebrities. 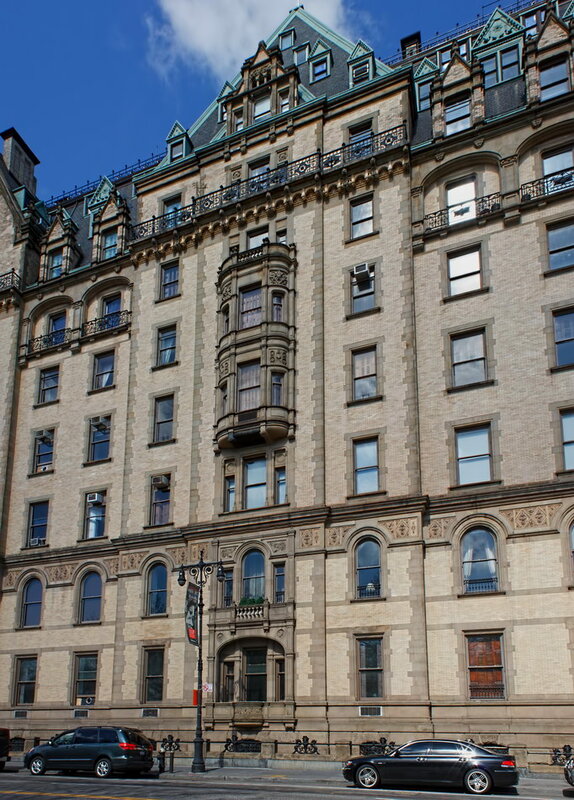 Celebrity status isn’t enough to gain admittance, though: The Board of Directors (The Dakota is a cooperative) is notorious for rejecting would-be tenants. Among the rejected: Antonio Banderas, Melanie Griffith, Cher, Billy Joel, Madonna, Carly Simon, Alex Rodriguez, Judd Apatow and Tea Leoni. When apartments become available, their prices are in the tens of millions of dollars. 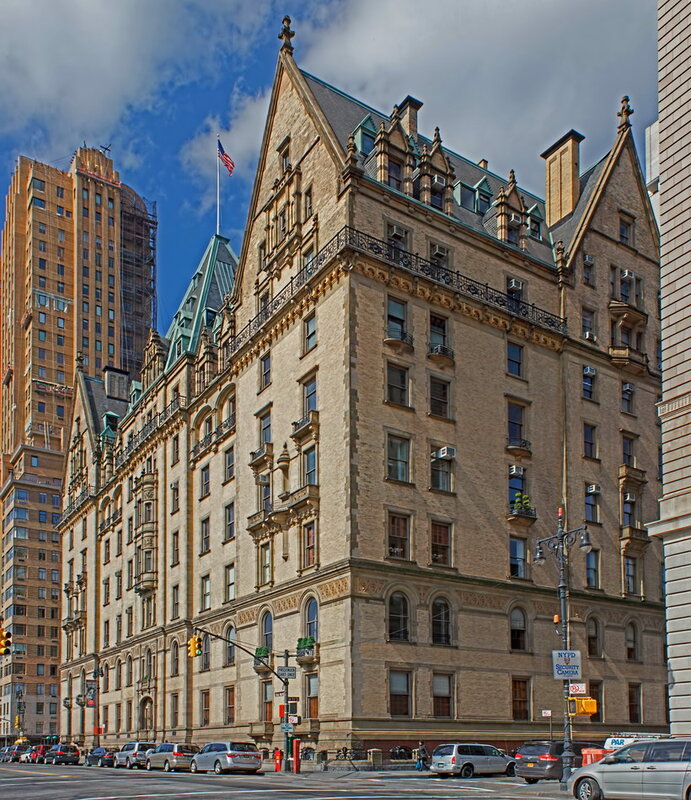 That doesn’t seem to bother some people: John Lennon had six apartments; Rudolf Nureyev’s apartment was just one of several homes. 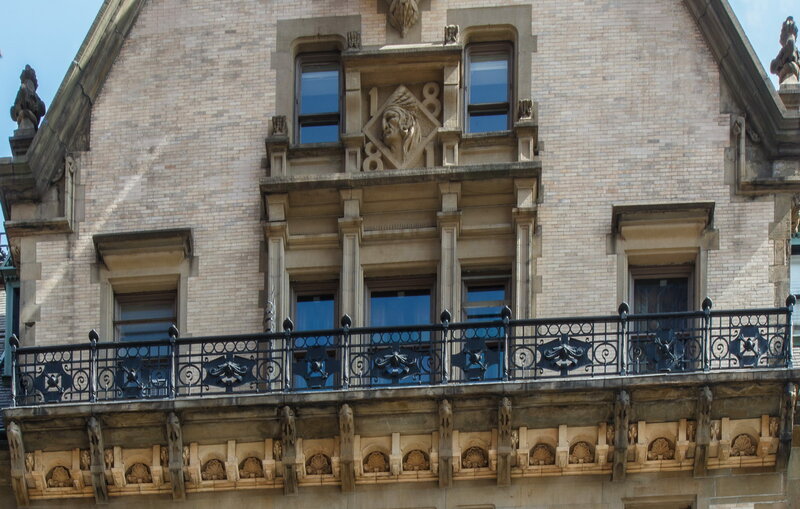 When built, The Dakota Apartments offered many services of a hotel. A private dining room served residents – or delivered (and served) meals in their apartments. A substantial housekeeping staff included porters, janitors, maids, laundresses, elevator operators and more. The staff delivered coal and firewood for the apartments’ stoves and fireplaces – and hauled away the resulting ashes. 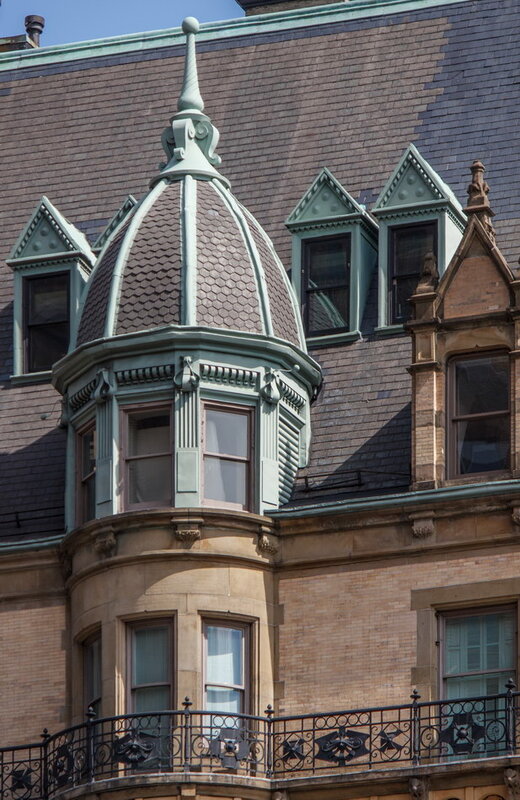 The top two floors were originally for the building’s laundry, and servants quarters. All in all, beautiful architecture and fascinating history. 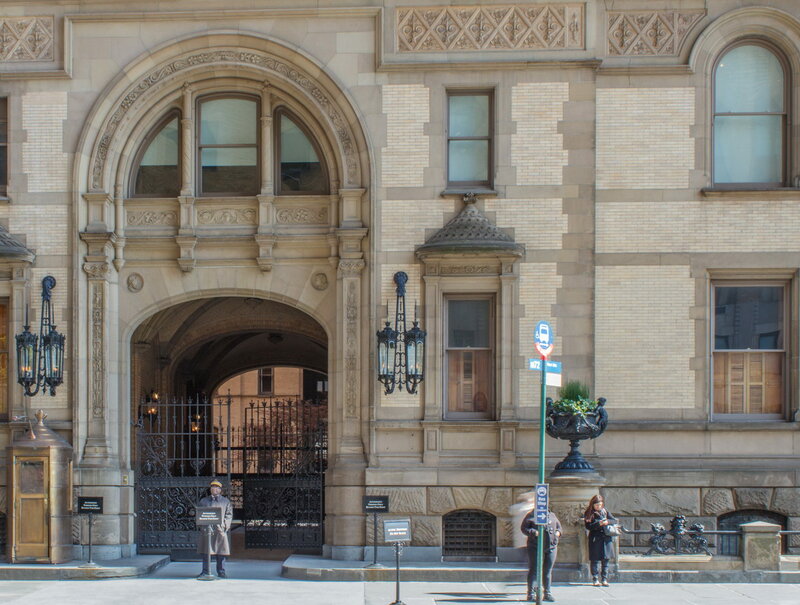 See some of the interiors at the Dakota Projects documentary website. * This story, though widely quoted, actually has no documentary basis according to historian Andrew Alpern. The quote was pure speculation of a property manager, years after Clark died, says Mr. Alpern. There is a new book by architectural historian Andrew Alpern – the most comprehensive history of The Dakota imaginable! Mr. Alpern documents the building, its builder (and family! 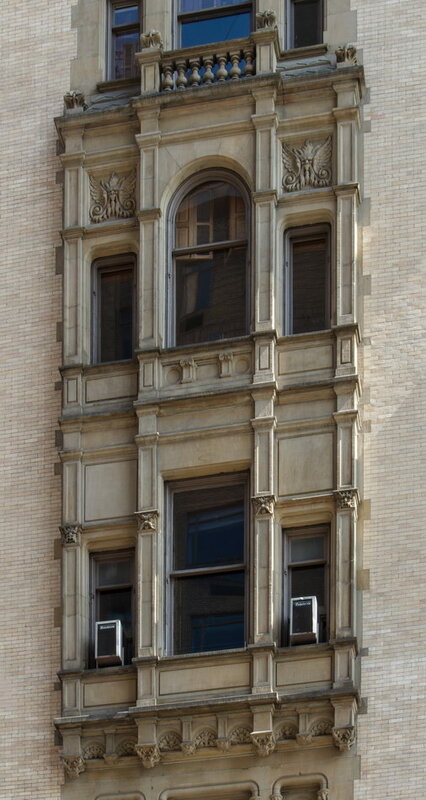 ), the architect, the neighborhood, the architectural and historical context, and even the Dakota’s residents. 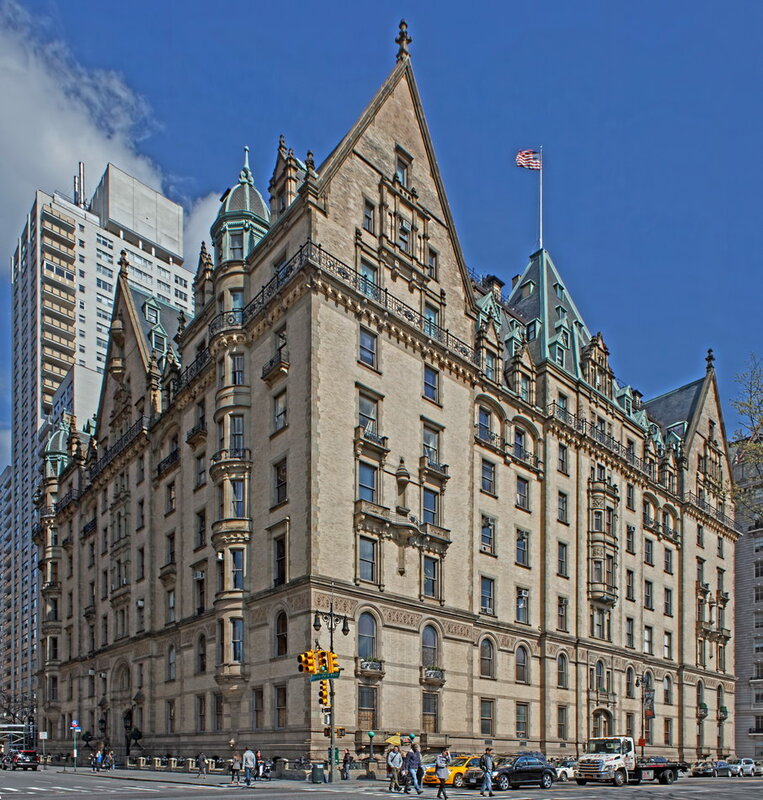 Fascinating reading that illuminates not only The Dakota, but also the world of apartment living in New York City. I’m honored that he chose photos from this gallery to help illustrate the volume.